Below is a list of featured properties in or near to Brough Castle. Featured properties may include - Picturesque location or views. Coastal location or views. Historic property. Boutique property, or some other feature that we think our members would like. See individual listing for type of feature for each property. 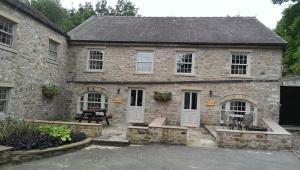 The Granary is a holiday home set in Barnard Castle in the Durham Region and is 49 km from Newcastle upon Tyne. It provides free private parking. 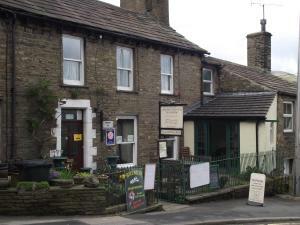 An ..
Laburnum House is located in market town of Hawes, North Yorkshire. There is free WiFi access in all areas. Rooms here will provide you with a TV. Fe.. Featuring a garden, Fell Cottage is a holiday home set in Marsett in the North Yorkshire Region. The property is 39 km from Kendal and features views ..
Old Dairy Cottage offers pet-friendly accommodation in Ainstable, 49 km from Windermere and 34 km from Keswick. The property is 45 km from Ambleside a.. Featuring a garden, Mark Close Farmhouse is a holiday home set in Alston in the Cumbria Region. 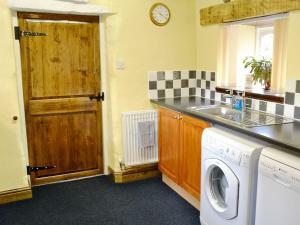 The property is 32 km from Carlisle and free private p.. Situated 13 km from Windermere and 41 km from Keswick, Woodlands offers accommodation in Kendal. The unit is 19 km from Ambleside. There is a dining ..
Thornsgill House B&B is located in Askrigg, in the heart of the Yorkshire Dales National Park, and offers views of the surrounding countryside, as wel..
Barnstead is a holiday home set in Pooley Bridge in the Cumbria Region and is 27 km from Windermere. The unit is 21 km from Keswick. The kitchen is e.. Situated within an Area of Outstanding Natural Beauty, The Saddle Room offers rooms in Middleham. The Forbidden Corner is just next door to these room..
Durham Cottage is a holiday home located in Wolsingham in the Durham Region and is 32 km from Newcastle upon Tyne. The property is 19 km from Durham a.. Stable Cottage is a holiday home situated in Pooley Bridge in the Cumbria Region and featuring a garden with a barbecue. The property features views o.. 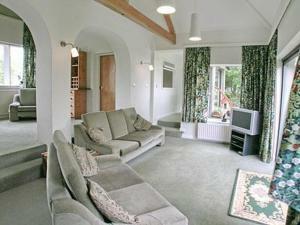 Deer Park is a holiday home situated in Grinton, 50 km from Durham. The property features views of the garden and is 47 km from Skipton. An oven, a t.. The Waiting Rooms is a holiday home with a garden, set in Orton. It provides free private parking. The kitchen is fitted with an oven, a toaster and ..
Leighton Cottage is a holiday home is located in Bowes and is 40 km from Durham. It provides free private parking. The kitchen comes with a dishwashe.. 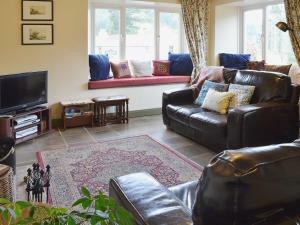 The Farmhouse is a holiday home with a garden, situated in Hawes. The property is 47 km from Windermere and features views of the garden. The kitchen.. Situated in Appleby, this holiday home is set 36 km from Windermere. The unit is 41 km from Keswick. There is a dining area and a kitchen as well as ..
Set in Bampton in the Cumbria Region, this holiday home is 22 km from Windermere. The unit is 25 km from Keswick. Free WiFi is featured throughout the.. The Old Hall is a holiday home with a garden, located in Hawes. The property boasts views of the garden and is 47 km from Windermere. An oven and a t.. Situated in Great Asby in the Cumbria Region, this holiday home is 34 km from Windermere. The property is 46 km from Keswick and free private parking .. Situated in Eggleston, this holiday home is set 48 km from Newcastle upon Tyne. It provides free private parking. The kitchen is equipped with a dish..